A 21-YEAR-OLD man has suffered serious and extensive injuries after falling off a headland at Mullaway on Saturday evening. The incident occurred about 7pm, with NSW Police, ambulance, SES, fire and rescue personnel all attending the scene. 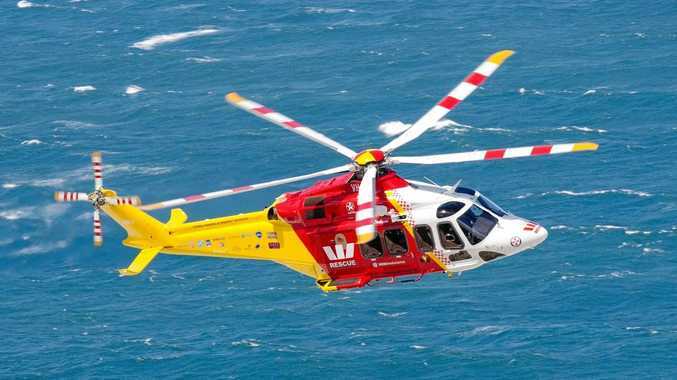 The Westpac Rescue Helicopter was also called to the incident and arrived just before 9pm. The helicopter landed on the headland and the medical crew accessed the patient via foot to assist paramedics in assessing the man. The patient was able to be stabilised at the base of the cliff before being winched to safety and flown to the Coffs Harbour Hospital in a serious condition. The man has reportedly suffered injuries to his head, chest and abdomen. If you or anyone you know needs help you can call Lifeline on 13 11 14 or Beyond Blue on 1300 22 46 36.